Quality has nothing to do with the factory but everything to do with quality control. Dan Toys must be better at this than Atlas - one of the reasons why I never consider buying Atlas. Latest UK issue, the French 24V Buick Roadmaster in white with red roof. Didn't think this was ever issued for sale in the UK. 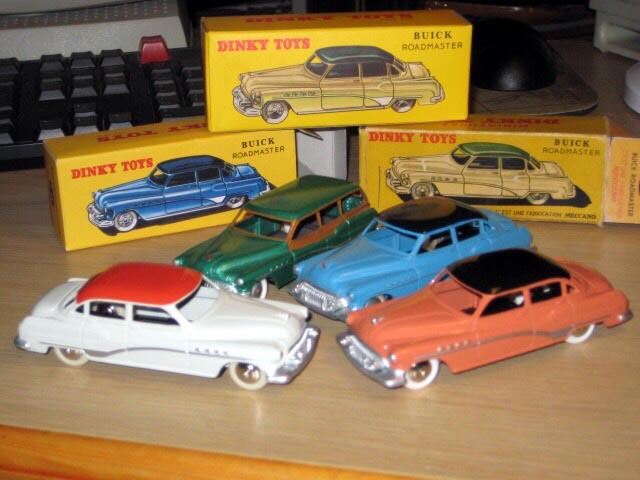 Comes in a plain Buick box. The salmon pink French issue shown came in a reproduction copy of a shadow box. 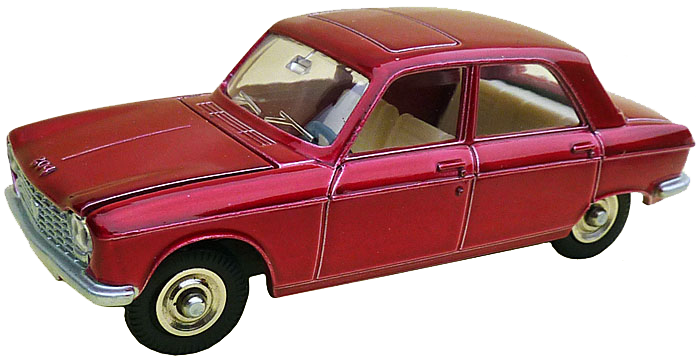 The second model in the "collection les ouvrants" was the Peugeot 204 with opening bonnet in October. 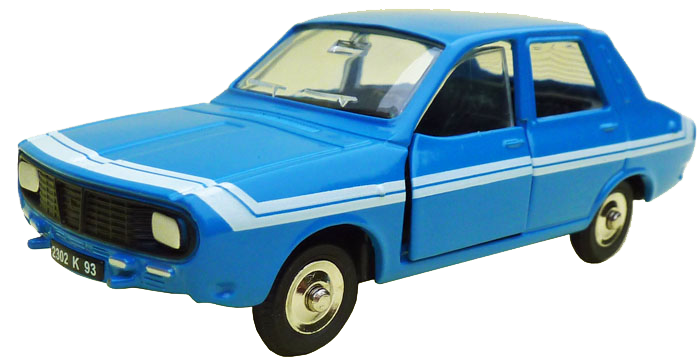 The third model was the Renault 12 with opening doors in November. 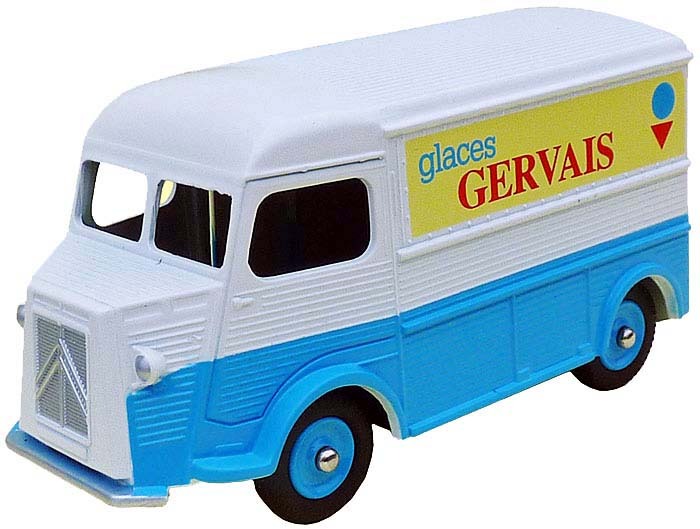 The Atlas team in charge of the Dinky Toys collections has nothing to be proud of. The fitting of the Dinky Toys mowing parts was not always very good but this one is awfull. This is the Atlas quality. The next model to be issued in December will be ref. 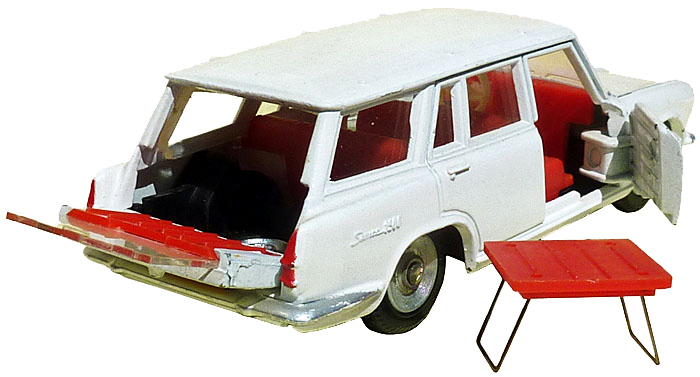 507 Simca 1500 break with die cast base plate riveted to the body, suspension, opening front doors, the rear window slides into the tail gate, as in the real car the spare wheel cover is a camping table, inside fittings, jewelled headlights, spun concave hubs fitted with plastic Dunlop tyres. 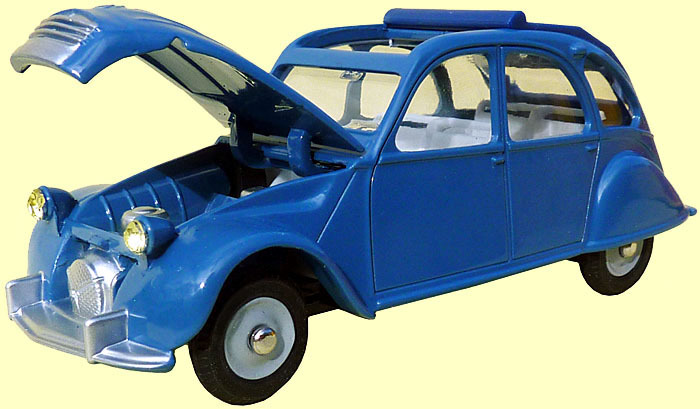 The photo shows the original Dinky made in France by Meccano Triang. 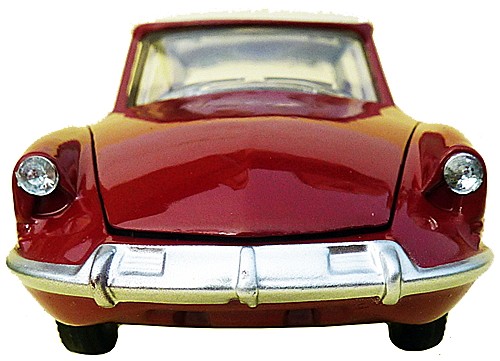 The headlights of the Dinky Toys are yellow and their diameter is 3,8 mm., those of the Atlas copy are white and are only 3,1 mm. Neither the registration plate nor the air intakes grills have been reproduced. This is an other example of the appalling quality of the Atlas models. on my Atlas DS you can see the intake grilles, and just make out the registration plate, but the silver paint is a bit thickly applied. You do not show a picture of your DS but I think that it has two plain rectangles as the air intakes but no grill. The bars of the grill bo not exist. 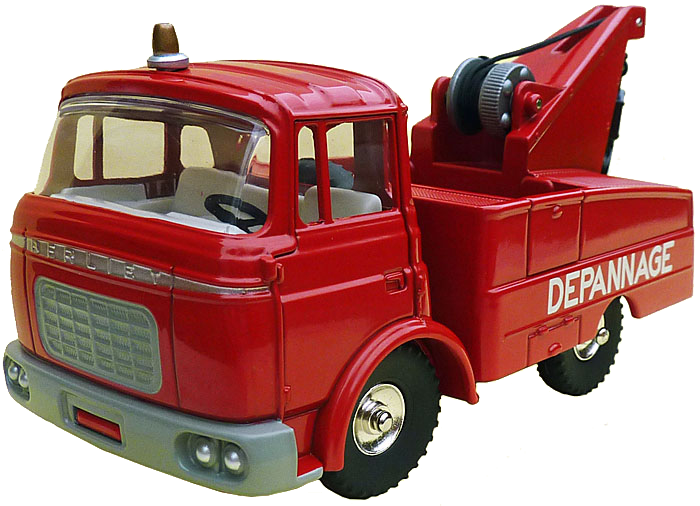 About the registration plate, compare the pictures of the Dinky and the piece of garbage which Atlas calls official re-issue, they are very different. Here is my Atlas DS with the grilled intakes. Thick paint though as I said before, and probably not aluminium. Latest UK issue received, a 23c blue Mercedes racing car. 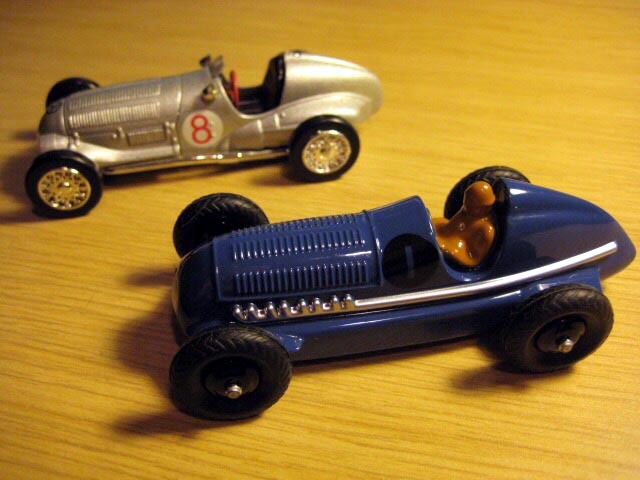 The 1934 W25 Mercedes made famous by amongst others Rudolf Carriciola, shown in the photo with a contemporary non-Dinky model of the 1937 W125 which superseded it. This is the last model issued off collection by Atlas. 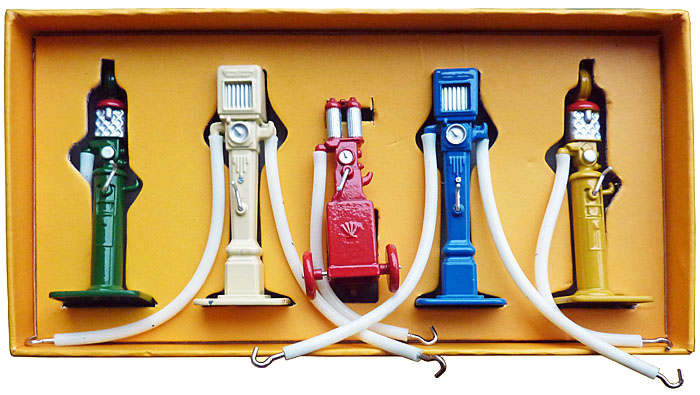 It is the French post war 49 set of petrol pumps. The hoses which are made of plastic instead of rubber are very elastic and will not remain in the box or even less with the nozel hanging from it's hook. This is an other very badly copied model. I had ordered three sets for three friends who being outside France can not subscribe to the Atlas collection (I do not collect this garbage myself). This picture shows what I found when I opened the box. It also shows how much Atlas cares for it's customers. The special X'mas models have not been delivered yet and I am still expecting the three normal models that I should have received in December. Once more, the Atlas team shows it's incompetence. No Dinky came from China in December, but this week, I received seven new ones although they are all variations from existing castings. 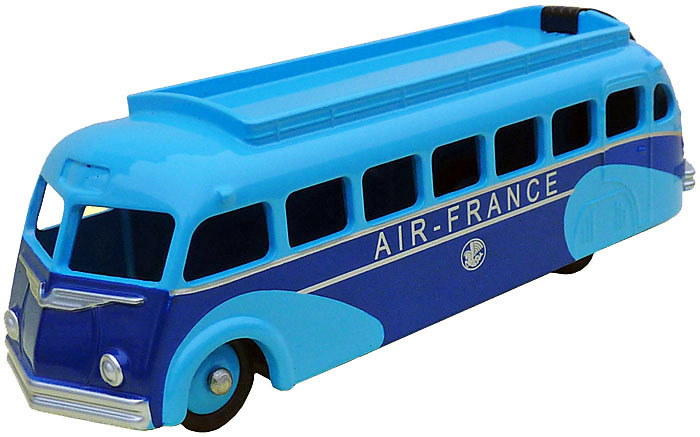 29eb - Autocar Isobloc "Air France"
The only known original is an unassembled body colour sample, the Isobloc was never issued with this finish. 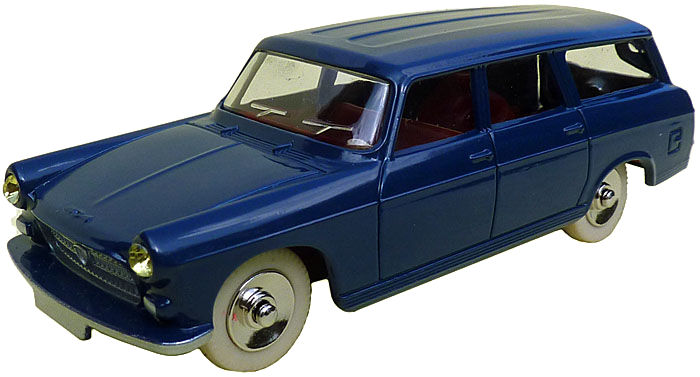 102 - Panhard PL 17 Dinky Junior. 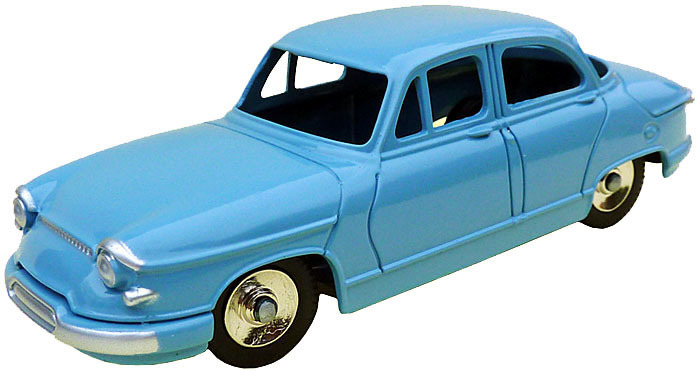 552 - Chevrolet Corvair in "South African" finish. The guy who has chosen the colour has certainly never seen an original. Wrong green. The steering operates to the right only ! This is the original green. 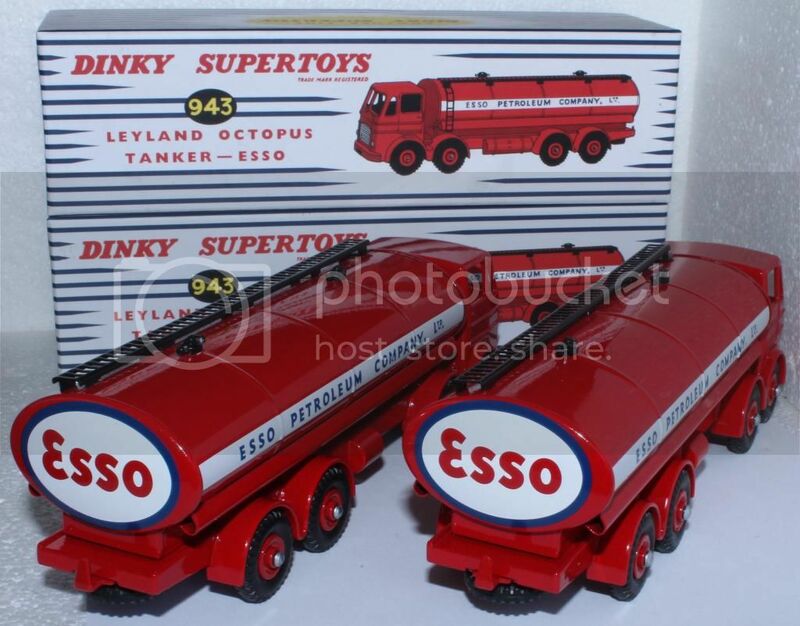 943 Leyland Octopus Tanker "Esso"
Photo by courtesy of Ron Ford. Atlas will soon launch a new collection of "Dinky" commercials. The 943 Octopus will be the launching model. 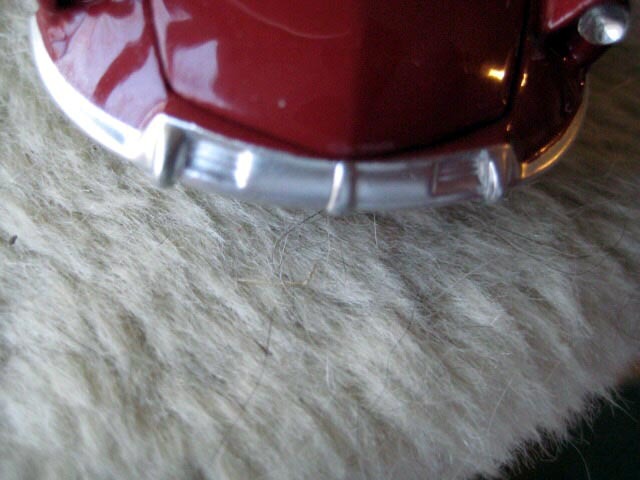 The picture above shows a reject model which has been sold on eBay in December. A second reject is known. It's amazing ..., which one will be next? Although apparently cleverly done, I do prefer the real ATLAS below, one of my many Atlas-darlings until my retirement last year! (Courtesy Special Collections, University of Amsterdam). You must explain your post, it must be a joke. 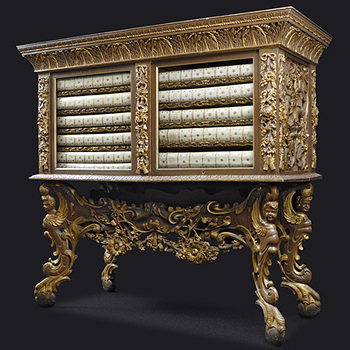 Is this elaborate piece of furniture an Atlas ? can you explain ? How did this one fail quality control? And make it onto the secondary market with its box? Good question Sierra. I have found that three more rejects have been sold on eBay U.K. It is known that there was a shop in Liverpool selling some of Meccano's rejects but this is hearsay and there is no evidence. I had not seen that your picture showed a book shelve. Those that I have made are not so elaborate. This Atlas must be facinating, how lucky you were to have access to such a treasury. "How did this one fail quality control? And make it onto the secondary market with its box?" I think the only failure was in Security, stopping it getting nicked. Haha. I've got two on the way to me from Hong Kong, it will be interesting to see if the paint issues mentioned are universal in these early "liberated" examples. Why buy rejects when the normal ones will probably be available for next to nothing ? 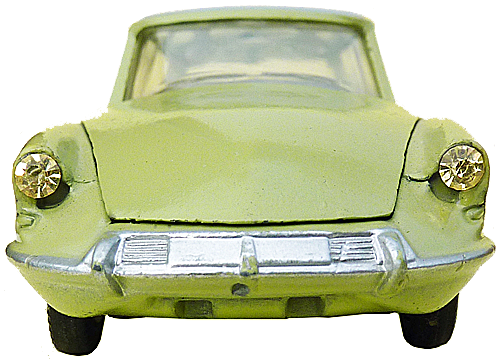 Atlas UK has issued the French Dinky Mercedes 190 SL in October and the 23c Mercedes racing car in December, which were the November and January models ? As Atlas can not or is not willing to do it, could somebody inform us every month of the new issue with it's manufacturing number 4 659 1?? I too queried with Atlas the sequence of UK releases, as I found that I kept seeing ones I had not received eg Volkswagen PTT, Volvo 122S, Auto Union, Dodge green/black. I was told not to worry as models are shipped as stock allows, but I would receive all in due course, and to ignore the numbering. So far I have 01 Mini 02 Bedford 03 TR3 pink 04 T-bird blue 05 Packard green 06 VW PTT 07 Kapitain yellow 08 Mercedes racer 09 Zephyr two tone blue 10 Atlantic 11 ID19 Break 12 GPO van 13 Buick Roadmaster grey 14 Morris Oxford 15 190SL cream 19 Jaguar XK120 grey/yellow. They came in an odd order and I look forward to receiving 16, 17, 18........... Just to add confusion the Certificate with the Jaguar is numbered 19 but the invoice slip says 19 is a Volvo......? I received the Buick and 190 SL in November, the Merc racer in Dec, and the Jag in Jan, if that helps. Thank you for your answer, Yes Atlas are a lousy lot of incompetent and unpolite people. Be very careful with them, never give them your credit card number, they are not dishonest but so incompetent that I have ordered two sets of Simca 5 in July, the cheques which I sent in payment have been cashed on Sept. 10 and today January 14 2015 when calling on a pay phone I learn that only one set has been sent. It is possible to know in which order the models should be received with the numbers printed on the box. The last two digits give this order. In this case 15th. for the 190SL. 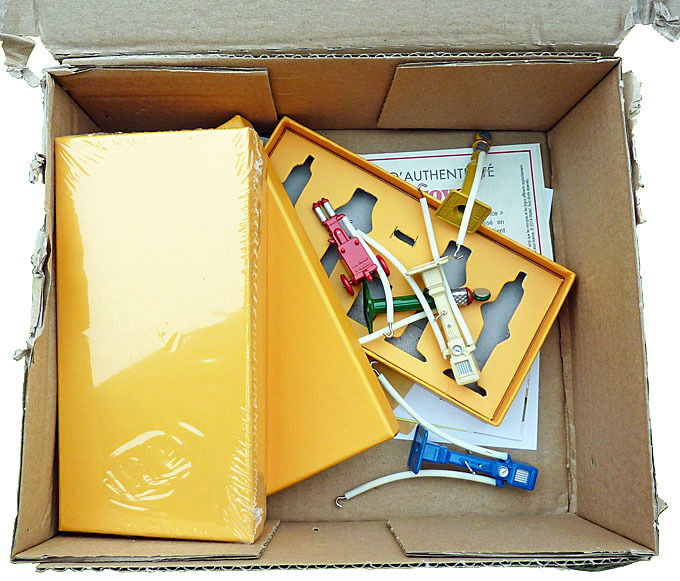 The number on the invoice is the order in which they are sent to you and this can be different from the number on the box. 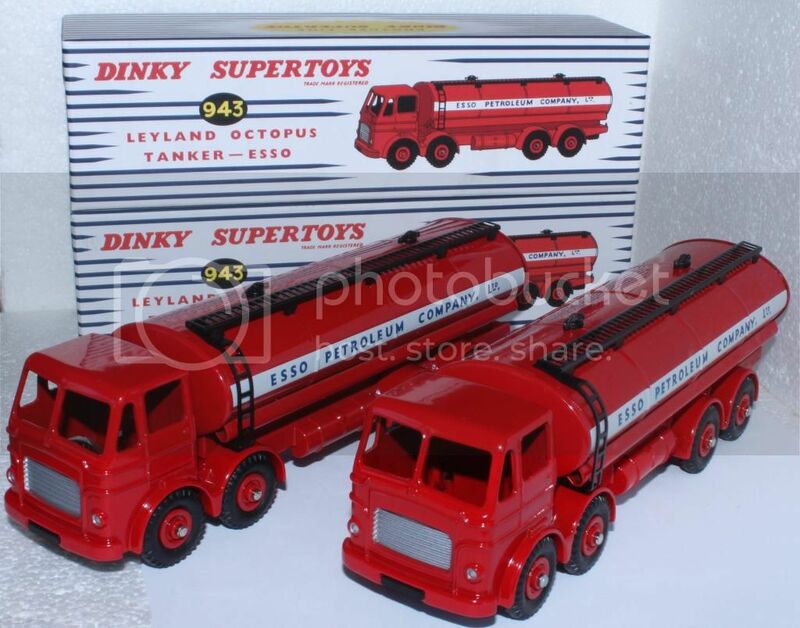 Finally getting around to posting pics of the Leyland Esso Tankers, nothing wrong with these! 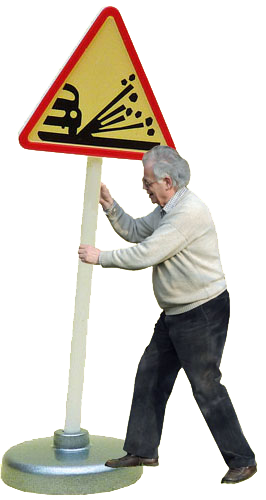 23A - Auto de course. This one will certainly be part of the English issues in a different colour and with rubber tyre. 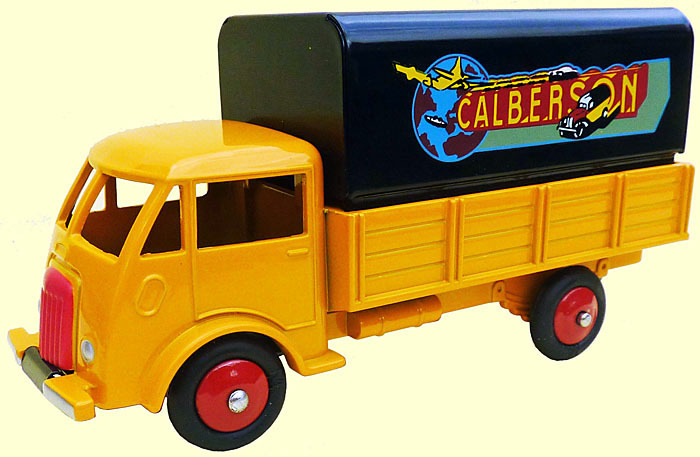 25JJ - Camion Ford "Calberson". The model issued this week is the ref. 1426 Alfa Romeo Carabo Bertone. The base plate from my Meccano model (below) is different, it has a rectangular recess which the Atlas model does not have. Does this mean that some Meccano models were made without the recess or that once more Atlas did not make an exact copy ? 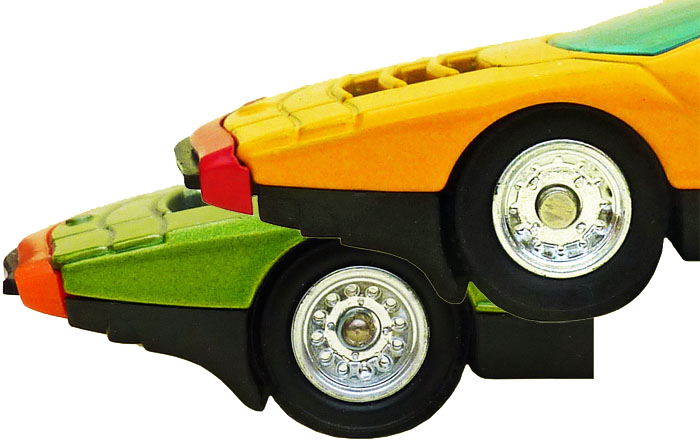 The Meccano Carabo is the green one, the Atlas is yellow. The diameter of the post is smaller than the diameter of the hole in the base. This explains why the post is always leaning. What ever I do, it will not stand straight up. The most simple things can not be done properly by Atlas ! with foldable rear seat back. You keep calling Atlas "incompetent" "liars" "inefficient" "inconsistent" etc. etc. etc. But you continue to PROMOTE their products on this site WHY???????????????? ?